¡A Bailar! Let’s Dance! 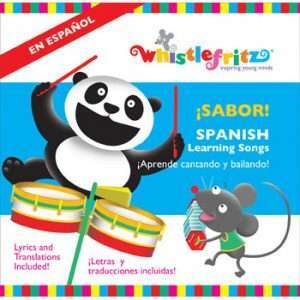 is a collection of dance-able, sing-able, toe-tapping Spanish melodies for kids of all ages. Upbeat Latin rhythms help children learn the Spanish words for letters, numbers, colors, parts of the body, directions, activities, and more! ¡A Bailar! Let’s Dance! includes popular traditional children’s songs as well as original compositions by award-winning Latin American musical artist, Jorge Anaya. Songs introduce children to both Spanish vocabulary and a variety of Latin music as they sing and dance along to a playful mix of salsa, merengue, corrido, cumbia, ranchera, rumba, and more! 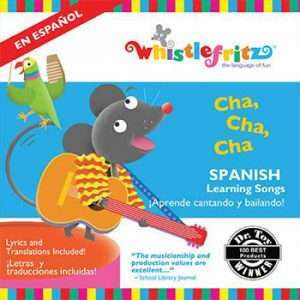 This collection of memorable music will appeal to kids and grown-ups alike and, best of all, it makes learning Spanish simple and fun! Winner of an iParenting Media Award; winner of The National Parenting Center's 2008 Seal of Approval; winner of a 2008 Parents' Choice Approved Award; endorsed by KIDS FIRST! Let's Dance - ¡A Bailar!